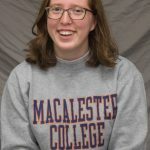 This August, first-year orientation featured a revamped security training session that included a presentation of how to respond should there be an active shooter incident at Macalester. Associate Director of Security Bill Collumbien gave the presentation, which featured a rundown of the responsibilities of both the Residential Life and Security departments, a review of college emergency procedures and an introduction to the campus notification system, Rave. 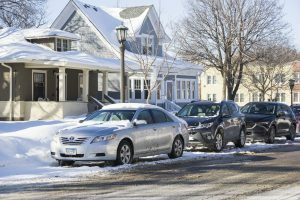 The new training was mandated by Macalester’s Incident Management Team (IMT), a group of representatives from various constituencies on campus tasked with developing emergency response protocols. “As part of a training initiative recommended by the Incident Management Team, incoming community members (students, faculty, staff) receive[d] training at the beginning of the 2018/2019 academic year,” Associate Director of Security Bill Collumbien wrote in an email to The Mac Weekly. 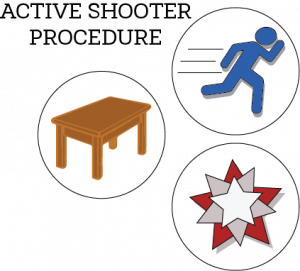 The active shooter preparedness training is just the first of a number of steps that the IMT is taking to increase awareness around Macalester’s security procedures. In addition to making the active shooter response presentation mandatory at new student, staff and faculty orientations, the IMT is offering a similar training to existing staff and faculty over winter break. Collumbien said the group is still deciding how best to make these procedures available to the larger community. While the IMT is just making a push to increase visibility now, the college’s recommended active shooter procedure has been in place since in 2016. The procedure, called “Run. Hide. Fight.”, is recommended by the Federal Bureau of Investigation (FBI) and Department of Homeland Security. The procedure outlines three steps. It advises its adherents to first attempt to escape the situation and get to safety, shelter in place if an escape is not an option, fight back as a last resort in a life-or-death situation. When that procedure was first introduced, the IMT posted flyers detailing the instructions across campus and changed classroom doors so that they could lock from the inside. In addition, FBI Special Agent Joe Malhoit visited campus and gave several presentations to students. Since then, trainings have been sporadic. 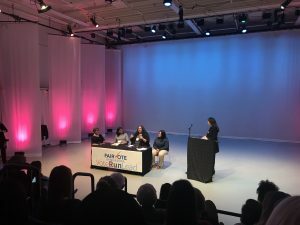 “We have done additional trainings with Residence Life, with Facilities Services, and with a few other departments that have requested [them] since [Run. Hide. Fight.] was first rolled out in 2016,” Assistant Vice President of Facilities Nathan Lief wrote in an email to The Mac Weekly. While there have for several years been plans to incorporate the training into orientation, this was the first year it had been included. Data from the Gun Violence Archive shows that there is a mass shooting nine out of every 10 days in the United States. Given this country’s gun violence epidemic, it is no surprise that institutions like Macalester have begun to think more proactively about their gun safety protocols. All of Security’s emergency response procedures are available on their website.